By the Early Proterozoic, extensive mountain building accelerated erosion and chemical weathering producing sediments that formed wide continental shelves. Calcium together with iron and silica in these sediments were washed into the oceans promoting the development of extensive carbonate platforms including Mg-rich limestones, dolomites. 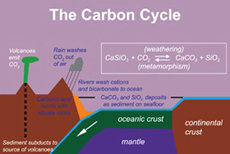 Carbonate formation in the oceans removes CO2 from the atmosphere to form (Ca, Mg)CO3 over geological time. 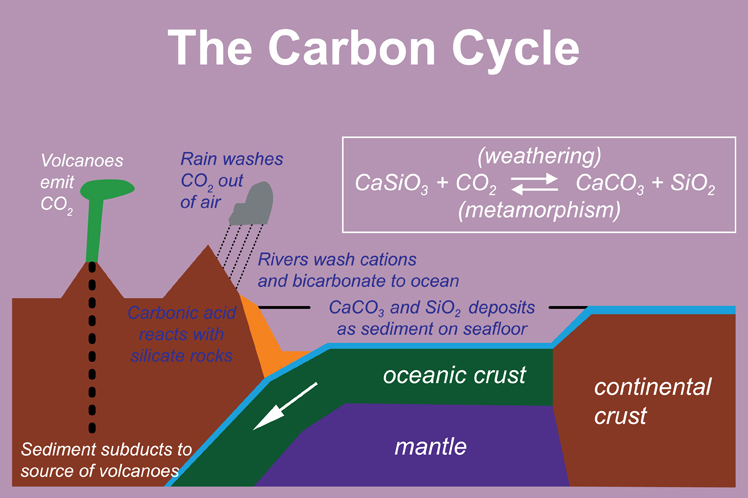 The growth of carbonate platforms during the Proterozoic therefore led to a decline in atmospheric CO2 and a decrease in the global greenhouse effect.